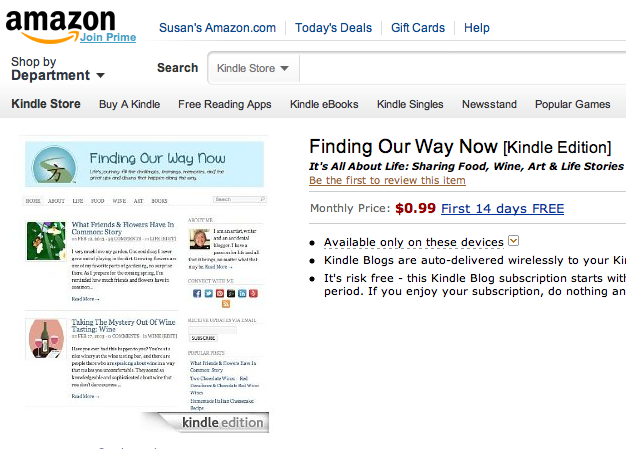 I have great news, Finding Our Way Now is on Amazon Kindle Blogs. For those of you who are avid Kindle readers, I’m so very pleased to announce that you can now find and follow Finding Our Way Now on Amazon Kindle Blogs. No matter which way or in what form you choose to follow our updates, we’re so glad that you chose to come along on our journey! BTW: When you have a chance, hop on over to check out Lesson From An Ordinary Life Vol. 1, and D.R.E.A.M. Catcher’s Book ebooks and in print.